Mr. N. Yahagi is a highly-reputed metaphysician in Japan. 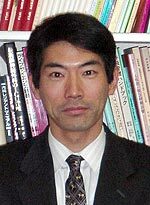 His current position is Medical Professor, Postgraduate School, University of Tokyo concurrently serving as Head of the Emergency Department and the Intensive-Therapy Department,University of Tokyo Hospital. In this Hospital, as many as 3000 patients annualy undergo medical treatment at its intensive-care unit. According to Mr. Yahagi, it is a place where life and death are just side-by-side. As clinician, he has been witnessing a lot of death on a daily basis. Mr. Yahagi has made a series of examinations and consideration of death while experiencing a great number of puzzling phenomena occurring at the site of leading-edge medical treatment. On the basis of it, he wrote a series of books on his unique view of life and death and got them published. The following is his matter-of-fact statement predicated upon his day-to-day work. EBM (evidence-based medicine) is the mentality basic to the modern medical care. We, medical doctors, provide patients with treatment in accord with EBM. As a matter of fact, however, it sometimes happens that the cause of their diseases and disorders can in no way be elucidated at the emergency outpatient unit. It is no exaggeration to say that the site of medical treatment is filled with events that are totally unexplainable even with the latest medicine and science and even in the age of highly-advanced technologies, though it may sound somewhat funny as a statement of working doctor. Mr. Yahagi also gave the following explanation about the energy healing. It is an excerpt from the Japanese book “Life does not end” (page 51 to 54) written jointly by Mr. Yahagi and Mr. Sato. It was published on Oct. 10, 2014. For the last dozen years or so, the term “healing” and “therapy” have come to public attention. There would be many people who recollect some comfortable, pleasant images when they hear such words as healing and therapy. In many cases, these terms are used at various facilities intended for mind/body healing or in spending leisure time or in pursuit of hobbies. In my opinion, few people, at the very least, will conceive of a site of medical treatment. I will now look at the “energy healing” specifically as alternative remedy. Energy healing specifically indicates a medical treatment based on the energy emanating from the body of practitioner, while it literally represents a means of healing ourselves or others by harnessing a variety of energy avalable in the natural world. By the difference in the kind of energy, it is classified into three types: (1) spiritual healing, (2) psychic healing, and (3) physical healing. Of theses three types, spiritual healing is what we call metaphysical remedy. It is the medical treatment in which practitioners send energy to recipients by way of their hands and/or notions. This energy is conveyed to the recipient with the practitioner serving as a conduit of energy from higher dimensions. For your information, SATO Method presented in the book “Life does not end” is included in the category of spiritual healing in the broad sense of the term. In case of the psychic healing, practitioners once take in the energy in their immediate circle through breathing and/or body maneuvering and, then, send it to recipients. External Qigong and Reiki fall under this category. Meantime, the traditional Usui Reiki originated in Japan was transformed into the universalized form in the U.S. In recent years, it was reimported into Japan under the name of REIKI. In case of physical healing, on the other hand, practitioners provide medical treatment directly to a human body with their own power. Massage, acupuncture and moxibustion fall under this category. The foregoing is a simplified classification and, therefore, it does not represent exact definition. In actuality, there could be some overlapping depending on the practitioner. For example, a practitioner could unconsciously radiate spiritual healing energy while providing REIKI treatment. Also, those who can release physical energy by touching others are expected to make such effect, though this has to do with a therapeutic touch. Conversely, those who can radiate energy without touching are able to remotely convey energy. Either way is O.K. If you are put in a position to see, first time ever, an actual case where a disorder has been cured by energy healing, how do you react to it? Most people might find it difficult to understand such actual case and they may feel as if they were shown exquisitely-executed magic. Even if what is taking place on our doorstep is something far beyond our understanding, it will be a first step in science not to easily deny such event but perceive it as a fact. For your information, Mr. Yahagi will offer commentary on SATO Method in ”Life does not end: Part 2″ to be uploaded toward the end of 2014.